Once the study of this chapter from the book of Joshua is completed, we will move onward in our Old Testament Tour of Triumph and examine other passages that speak of the spiritual warfare that is our present (but not eternal) reality. One day, we will lay down our ‘sword’ for the grand conflict of the ages of this world will have ended. Satan and the entirety of his kingdom will be expunged from the world which God created, forever bound in Gehenna and the parenthetical evil that was let loose by Luciferian design will finally be over with! Until then however, we have much to contend against our chief adversary, and we must learn our battle tactics well, and execute them in militant fashion, standing firmly in the strength “of the LORD and in the power of HIS Might”. ~In the last segment of this study we saw how Joshua and the armies of Israel were defeated and brought low by the actions of one man, Achan. Judgment had to be dealt out to this offending party and upon his family as well, and once completed, the forces of God as represented by His people could then move on towards the battle unfettered. Likewise the harboring of one unconfessed sin that we have not repented of will inhibit our own spiritual victory; however once dealt with, we are then able to proceed towards victory, as we shall witness Joshua and the armies of Israel succeed in their own warfare. Here we see God once again reassuring Joshua and comforting him as He did upon entering the land, affirming the truth of the matter, that it is God leading Israel to victory and giving them instructions for such, and not the might or wisdom of Israel herself. Once sin was dealt with in the camp, God declared that He has “given into [Joshua’s] hand the king of Ai, and his people, and his city, and his land.” Note that God’s declaration is in the past tense (it’s not “I will give . . .”). This is something we must always be mindful of: that the LORD God is not bound by the limitations of time; His view isn’t determined by perceptions of events as they take place in the past, present and future. He exists outside of time, in eternity. Thus when God declares He has already done something, it’s because it IS done (ROMANS 4:17)! Its only we creatures, bound by the confinements of space and time that don’t perceive the accomplishment – unless of course we come to God by faith, faith in His Word to us, and respond, act, depend upon and trust the Word of Truth. Its then with ‘the eyes of faith’ that we know certainly of the reality God has spoken over us. Thus begins the valuable lessons on faith in this 11th chapter of Hebrews; contained in this (commonly called) ‘hall of faith’ are instances and records of how the people of the Bible appropriated by faith the Word of God’s promises. I would suggest a devotional reading of this chapter for us sometime very soon! Substance – hupostasis: from a compound of words: “a setting under (support), that which stands or is set, under, foundation, beginning, the quality of confidence which leads one to stand under, endure, or undertake anything. See 2 COR 9:4;11:17; HEB 3:14 (Here hupostasis is in reference to the Person of Jesus Christ, the substance, essence, of God Himself, the One in whom all confidence resides). Hoped – elpizo: “to expect, to confide – trust, hope, hoe for”; elpizo as a verb means “to hope” as in JOHN 5:45; 2 COR 1:10 as well as 1 TIM 4:10; 5:5; 6:17; see also MATT 12:21; LUKE 24:21; ROM 15:12,24. To “hope in” as in 1 PET 3:5 and ROM 15:12; 1 COR 15:19. In reference to Christ this word not only implies that He is the one in whom we place our hope but that He Himself intrinsically IS our hope. [Not] seen – blepo: “to have sight, take heed, behold, beware, look on, observe, discern, perceive, frequently implying special contemplation and rendered “to looking back” See MATT 13:13; MARK 13:23,33.” This word can employ meaning of physical or mental sight, as well as remembering. In HEB 11:1 there is the negation of such seeing “not seen”. 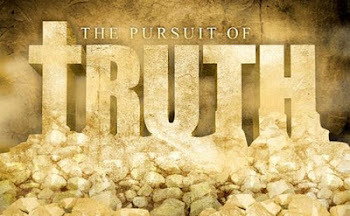 Thus we as the church, as well as Joshua and Israel must be fully persuaded of God’s Word, and give it our utmost credence, being convicted of His utter veracity and incapacity for deception, but is wholly true (PSALM 91:4; JOHN 14:6), and truly holy; we must exhibit total reliance upon the LORD Jesus Christ as these Old Testament saints did (resulting in victorious conquest) and remain steadfast and unwavering (1 COR 15:58) in such conviction and reliance. Such faith is where we must always begin in any enterprise for God, it’s foundational to our confidence in God and His Word (HEB 3:6,14), and by it we will endure and must endure because we not only have hope in Christ, but in Christ we have our hope (1 PET 1:3). Waiting upon God (ISAIAH 40:31) in faith means that we have an expectation (PSALM 62:5) not only that God will hear, but that He will answer, and make such provision that exceeds what we would ask for or even think to ask; our trust is implicitly in Christ Jesus (EPH 3:20). Yet for all of this, there is an element of unknowing, and unseeing; we cannot readily observe all of the workings of God Who operates behind the scene for our good (ROM 8:28); we do not discern His ways nor can we perceive or comprehend His thoughts any more than a baby can their parent, but nonetheless because of their love, they place their faith in them (ISAIAH 55: 8-9). How much more so shall we place our faith, expectation and hope in our Abba Father Who is far, far more capable than any mere human parent. Such implicit trust, faith and love which we have in possession from God Himself, and are directed back to Him in obedience to endure this warfare with expectation for victory is essential in any capacity of spiritual warfare, be it intercessory prayer, evangelism or any other types of campaigns. How heart breaking to realize that if Achan had only resisted temptation to take “of the accursed thing” and waited, seeking God’s will and not his own, he would have received ample reward from the generous hand of the LORD, as did those of Israel who were obedient and as a result received blessing. It’s a tragic truth that too many soldiers of the Cross are asleep today, not aware of the enemy’s infiltration into the church, and seemingly ambivalent towards the perishing souls in this condemned world (ROM 13:11); at a time when out-reach should be at an all time high of productivity, we find it necessary to commit time towards “in-reach” and seek to motivate God’s people in fulfilling (among other things) the Great Commission. If the church of the LORD Jesus Christ was fully engaged in this universal calling to work “in the field” and sowing the seed of the Gospel, and making disciples* as well, think of how it would affect this world! It is enough for the disciple that he be as his master, and the servant as his lord. If they have called the master of the house Beelzebub, how much more [shall they call] them of his household? Here is an audio presentation by William MacDonald on Christian Discipleship that you can hear on Windows Media Player. 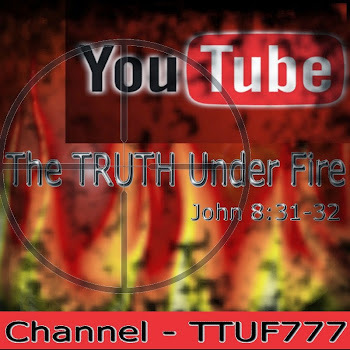 You can view all the videos in this series on youtube; there are several all together! In our spiritual engagement against Satan and those in his employment, be they human or otherwise, there is a time of waiting upon the LORD; when there is no outward activity or motivation but an adamant seeking of God in quiet prayer. As has been said already a few times, “The army of God must march on its knees if it ever hopes to achieve victory”. Spiritual readiness is required of every soldier of the Cross, and every blood bought disciple of Jesus Christ, for every enterprise as well as the hopeful expectation of the blessed Event which may indeed occur at any time (LUKE 12:40; ACTS 21: 13; 2 COR 12:14; 1 PET 3:15). We must be ready to face temptation at any moment; we must likewise be ready to face potential offences and in light of this be in a mode of ‘forgive-readiness’ so that the enemy can’t compromise us (and then others) with a root of bitterness. We must be ready to pray always, to stand for righteousness, to proclaim truth, to extend grace and mercy (See 1 COR 10:13; 2 COR 2:10; EPH 6:16; HEB 12:15; LUKE 18:1; MICAH 6:8; EPH 4:15; 1 PET 1:22). The enemy we face is an arrogant one, self-deluded into thinking that he can defeat the purposes of God both in this world and in His church, including the lives of each individual saint. 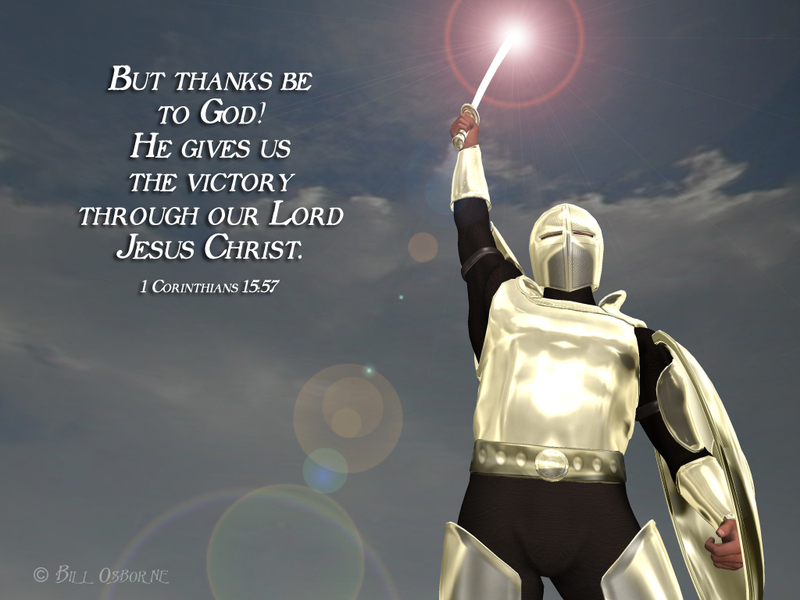 Because of the deceitfulness of sin, and most especially pride, Satan doesn’t consider that while he may have defeated us in a moment of our carnality and weakness in the flesh (just as Joshua and Israel were initially defeated at Ai), God’s purpose for us as over-comers is to obtain victory practically in life. Whereas the attack of the enemy may have succeeded in the past, he wrongly assumes he will achieve similar success in the future – just as the men of Ai rushed out boldly after Israel when they feigned a retreat. It is the enemy’s own undoing conducting himself in arrogance and false confidence, as we can see in vs. 6 and 8. It’s because the men of Ai rushed headlong after their enemy that they left their own territory vulnerable, and this assured the victory for Israel. In any military engagement, it’s a primary objective of any leader to demoralize the opponent – to dishearten them so that they lose any hope of victory. We would use the term “shock and awe”. This was achieved by Joshua when the men of Ai were about to attack retreating Israel when suddenly they looked behind and witnessed their own city ignited in destructive fires that consumed their home. Our LORD Jesus Christ, Captain of the Hosts of Heaven is the Master Strategist Who conducts this campaign in accordance to His infinite wisdom and almighty power; to achieve victory we only need place our implicit trust and faith in Him, and remain obedient to His will, walking in the Spirit, denying the flesh (GAL 5:16,22-25); and persisting in our ‘orders from Headquarters’ as delivered in the Holy Scriptures. This will spell our enemies doom and destruction as by the will of the LORD he is subjected to the ‘shock and awe’ of God’s shekinah glory and power! Of course we understand that ultimately as the enemy ‘goes after’ the saint of God in these last days – be they of the church or Israel who has obtained “like faith” (as Abraham) in the Messiah, that Satan’s domain will be burned up along with this terrestrial globe (2 PET 2:10-13; REV 20:11)! From vs. 8 of this chapter to vs. 22 we see the execution of the LORD’s plan that was pulled off ‘without a hitch’ – a complete and total success! From vs. 23 to 28 we see that Joshua and his army burned Ai, slaughtered all of the inhabitants, kept the king of Ai alive (for the moment), and took of the spoils of that city, per the LORD’s instructions. In vs. 29 we read that the king of Ai was hanged, but taken down by sunset. As Moses the servant of the LORD commanded the children of Israel, as it is written in the book of the law of Moses, an altar of whole stones, over which no man hath lift up [any] iron: and they offered thereon burnt offerings unto the LORD, and sacrificed peace offerings. The word “Ebal” means to be “bare, or bald”, that is to say, smooth with no growth apparent. This mount was rocky with little or no vegetation, and so anything on top of this mount would be visible from any direction. The LORD Jesus Christ told us to not let our light be hidden under a bushel basket or a bed, but to let the light shine for all to see to the glory of God (MATT 5:15-16). So we see that baldness is not really a bad thing after all; take it from one who knows! Joshua here builds an altar before the LORD in giving thanks and homage to God for the victory He granted to them, and setting it upon Ebal, it would be a testimony for all to see. 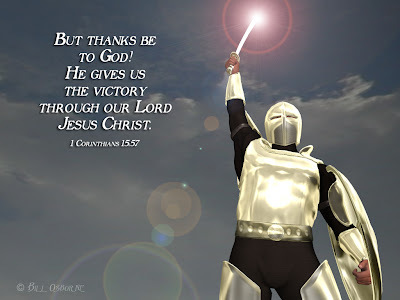 In our own victories in Christ, it is vital that the name of Christ Jesus be exalted and magnified; that people understand that these victories are not by our own hand, but wrought of God Who alone can grant such victories against so powerful an enemy as Satan. As Martin Luther’s hymn A Mighty Fortress is Our God goes: “for though our ancient foe, doth seek to work us woe. His craft and power are great, and armed with cruel hate; on earth is not his equal” but the One with Whom we have to do, the LORD of heaven is not merely a match for him, but far exceeds him in every capacity. The point seems obvious, but in times of dire straits when the enemy is assailing us on every side, we can sometimes become so overwhelmed that such a truth may become obscured to us. Note the sort of altar Joshua erected, in compliance with the Law of Moses: “…an altar of whole stones, over which no man hath lift up any iron…” No tool was to make any etching or carving into the stone; no contrivance or alteration by man was to change it, thereby polluting it (EXOD 20:25). The LORD Jesus Christ is the ROCK of our salvation – and in following after Him towards our assured victory in spiritual warfare, we must never seek ‘another Jesus’ or any motive, plan, action or theology or doctrine that would seek to ‘lift up a chisel’ and alter the Altar that is the ROCK, God made flesh: the WORD of God Incarnate. JAMES 2:17-24. May we likewise read the Word of the LORD and also . . .
Now the just shall live by faith: but if any man draws back, my soul shall have no pleasure in him. Too many are carving up Jesus Christ, defacing Him, changing His Person, His mission, His Word in today’s church, and this is by satanic design. All such alterations will prove useful to the enemy (for the most part) in integrating the professing (but not the possessing, as in the true) church into a one world religion who will worship “another Jesus” (2 COR 11: 3-4) or more specifically, [another] false Christ! This concludes our gleanings from the book of Joshua, which certainly contains many more lessons on spiritual warfare, but I shall leave to you the reader to dig for these jewels for yourselves. We will venture further next time, into more of the Old Testament and discover more on this vital subject in order to obtain greater effectiveness in our campaign for Christ Jesus our LORD and SAVIOR! Until then, remember: NIKAEO AIONIOS!